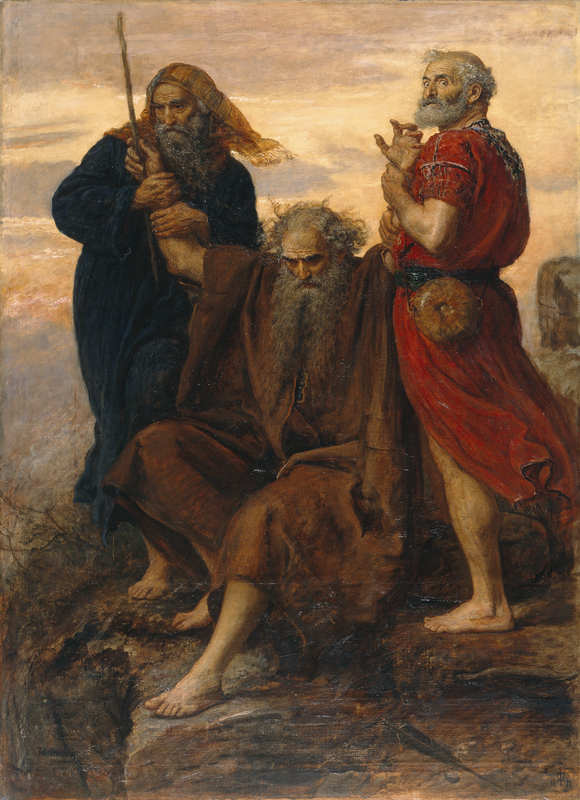 A pre-raphaelite painting of a Biblical scene depicting Moses surveying the battle between Joshua and the Amalekites from the top of a hill. Moses, an old man with a long beard, sits on a rocky outcrop, accompanied by Aaron and Hur standing either side of him, holding his arms aloft to prevent the Victory of the Amalekites. There is an overcast sky in the background which is glowing yellow.